Love and friendships can sometimes get complicated, and we can all use help figuring out how to manage both! Who better to give some professional advice on relationships, than Patti Stanger, Millionaire Matchmaker! Patti will be answering YOUR questions about love and friendship in addition to dishing out relationship advice to the characters of the new movie, Something Borrowed, based off of Emily Griffin’s bestselling novel in a featured video on AlloyTV. Like Rachel and Darcy, we all have difficulties when it comes to love and friendship and could sometimes use a little help! 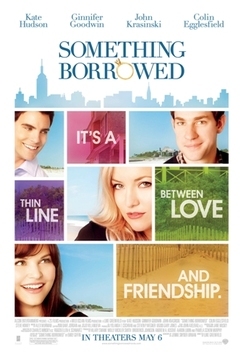 Share YOUR relationship questions by submiting them below in the comments or via Facebook (http://www.facebook.com/somethingborrowed?sk=wall) and Twitter for a chance to have Patti answer them in our video! I can't wait for this movie!! I love all the actors and I think its going to be a blast - or more like a giggle fest! Big ol' Party happened here - Check it out!! First we had the Nutella party - you can see Melissa diggin it already ;) The ladies loved it - we got samples for everyone to try and of course a big ol jar to keep ourselves. Along with goodie bags fill of recipes (on a bread roll up with strawberries!) and insulated mugs that said Nutella on it. Gotta love those!! 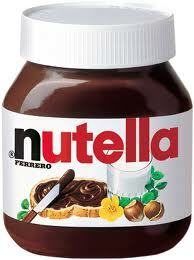 Enter to win a CASE of Nutella online! Sweepstakes begins at 12:00 a.m. E.T. on September 1, 2010 and ends at 11:59:59 p.m. E.T. on August 31, 2011. Don't forget to grab the coupon for $1 off online too!! Nutella has been a favorite of Europeans for decades, and when used in moderation with complementary foods, Nutella® is a quick and easy tool to encourage kids to eat whole grains, such as whole wheat toast, English muffins, toaster waffles and bagels. Nutella® hazelnut spread is a terrific option for individuals with peanut allergies. The spread does not contain peanuts or peanut ingredients, nor does the product come in contact with peanuts during manufacturing. Nutella® is comparable to other popular breakfast spreads and is the perfect alternative for all those finicky eaters in your household. Get your own online!! Liam (Elisabeth's son) couldn't take his eyes off of it and guess what!!! After listening and dancing to it 4 times - he did his own dance and tried the potty!! YEAH LIAM!! Are you searching for a healthier alternative to candy? The National Raisin Company has come up with the answer with Raisels. 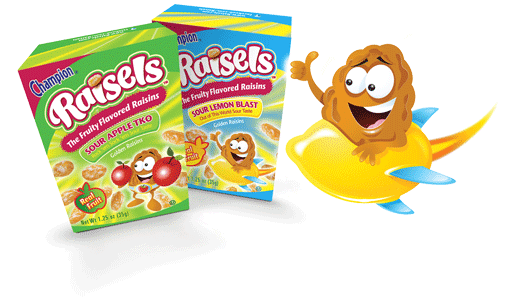 Raisels are the first 100% real fruit snack that actually tastes like candy. 100% Vitamin C, real dried fruit golden raisins, less added sugar than sweetened dried cranberries! 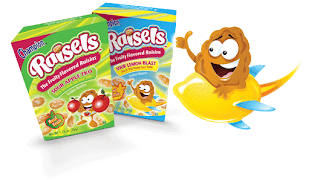 – make Raisels a great alternative to cookies, candy and sugary fruit snacks. They sent us the following flavors - Sour Lemon Blast, Sour Peach Pucker, Sour Apple TKO and Sour Orange Burst - EVERYONE loved the Sour Orange Burst - seemed to be the favorite of the day! 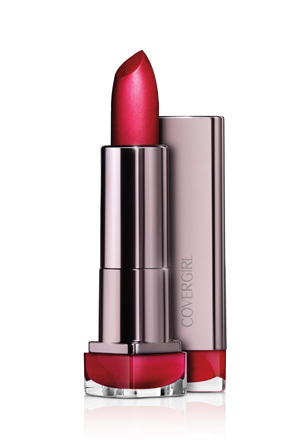 Bright, gorgeous color that can transform your day and your lips. Enriched with Silk Therapy Complex, our formula helps sustain moisture levels and helps create soft, smooth, beautiful lips in just 7 days. The ladies got to try Fervor and Soulmate - the sent us two colors - I sent one home with Elisabeth and she's been wearing her 'soulmate' all week and loves the color. It was fun! I can't wait to do it again!! Next time I'll try not to have so much fun and remember to take more pictures lol!! Thanks to everyone that came and to BuzzAgent, Team Mom, MommyParties™ and HouseParty!! Of course all thoughts are my own and we did receive free samples/products to try out. Not a teen book - the first chapters or two talk about swimming naked - sexual tension. Morgan thinks witchcraft is laughable when her best friend Bree drags her to a meeting of the Cirrus Coven. But during a cermony led by Cal, Morgan's long-time crush, Morgan feels a shock. Suddenly everything looks brighter, clearer. Morgan doesn't want to get involved with witchcraft-but she feels like witchcraft is choosing her. This is the third book in a groundbreaking and suspenseful new series for teens. Sixteen-year-old Morgan has never heard of Wicca-modern witchcraft - until she meets Cal. Then everything changes - almost overnight. 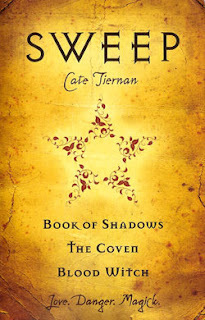 Morgan knows that witchcraft can be dangerous and that her birth parents died because of their involvement. But witchcraft is a part of Morgan in a way she can't ignore, and now that she's practicing Wicca, her powers are increasing. Her boyfriend Cal is a witch, too. He believes that they are muirn beatha dans, witches who are meant to be together, to love one another. But the sudden appearance of Hunter, a stranger who claims to be Cal's brother, threatens to ruin everything. Hunter says that Cal is practicing dark magic. 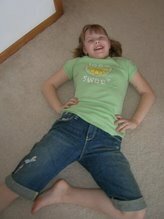 And Morgan feels unsure. Could it be true? One I'm surprised at the speed in the book - she seems to be getting better with each book :) But I'm also surprised at how many people we are loosing in this one. I'm really unsure of Zara's complete trust in Astley - seems like the author has gone from making her a warrior to almost putting a hole in the character with her naivety. This book revolves around Nick being gone and how much Zara is willing to risk to get him back - how many people she'll put at risk for her own want... so she's become naive and greedy - but everyone just puts this aside for 'true love' but for who Astley or Nick? If your a Nick fan - gets your gloves on, your gonna want to beat Astley up at every corner - maybe that's why I can't understand her flat out trust for him, cause I don't lol. Great book to the series! Zara and Nick are soul mates, meant to be together forever. But that's not quite how things have worked out. For starters, well, Nick is dead. Supposedly, he's been taken to a mythic place for warriors known as Valhalla, so Zara and her friends might be able to get him back. But it's taking time, and meanwhile a group of evil pixies is devastating Bedford, with more teens going missing every day. An all-out war seems imminent, and the good guys need all the warriors they can find. But how to get to Valhalla? And even if Zara and her friends discover the way, there's that other small problem: Zara's been pixie kissed. When she finds Nick, will he even want to go with her? Especially since she hasn't just turned...she's Astley's queen. 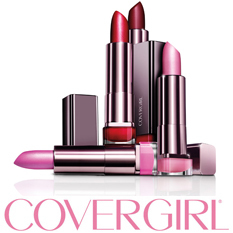 Sunday Special - Sign up and get over $200 worth free!! For anyone that signs up today for Uppercase Living* they will get a free frameworks inset of their choice from me personally and from the company they get what's pictured below totally FREE in addition to their kit!! - this means starting up for parties, is easier, you have all your displays at hand and you can start earning that summer vacation quicker!! Did I mention we earn cruises?? Contact me at aserpe@mchsi.com or 319-550-1040 with any questions.